Q. Name one thing you learned in the course that surprised you. Q. What two pieces of knowledge/tactics from the APM certification course are you most likely to use in your job? A. MORE about FDR and pavement treatments and timing. A. All of it. It is very informative. A. I was surprised to learn that lime could be used to mitigate the swell potential of clays. A. Lime as a swell mitigation technique and possibly cement in CIP. A. The fact that there are still so many out there that wont take action to make necessary improvements to their roadways. A. There are more tools in the proverbial tool bag than I expected. Would you spend 3 cents per SY to save millions? EXACTLY how to do JUST THAT! CLICK to See ENTIRE Scope of work HERE. A recent press release shows one Agency paying up to $800 bucks per mile! GEEZ! P.S. The first 3 Agencies in TX to sign up before January 1, 2016 will receive the first year of StreetSaver absolutely FREE! P.S.S. Those three Agencies will not even pay for migration from their current PM database! UNBELIEVABLE! P.S.S.S. Small surcharge for PCC roads and random surveys less than entire network. Nationwide, we will be charging one way mobilization. P.S.S.S.S. We give away two FREE scholarships to IPMA Academy & one 8 DVD box set. or $60 billion for not wearing a safety belt. $52 billion in property damage and other resource costs; and $99 billion in quality of life costs. This “tale of the tape” measures the value of pain, suffering, and loss of enjoyment of life by those injured or killed in crashes and their families. Crashes linked to road conditions cost taxpayers over $12 billion every year. Will you do more to save lives? For SafetyCurve™, we will be accepting applications for treatment sections Nationwide on a FIRST come FIRST SERVE basis. If YOU are interested and want to go to front of line call Lori at 404-953-013 or email: lori@safetycurve.com. A Georgia-based pavement management contractor currently doing assessment work in Wellington made a presentation to the Reno County Commission Tuesday on the benefits of having a pavement management system. Reno County Public Works Director Dave McComb, who is interested in developing such a system for the county, invited Blair Barnhardt of The Barnhardt Group to the meeting. There is no money in the current county budget to implement such a system, but McComb said he would like the commission to be prepared to make a decision on whether enter such a contract in advance of the 2017 budget. The purpose and benefit of a pavement management system, Barnhardt explained, is identifying preservation work that can extend a road’s life, rather than rebuilding roads after they have deteriorated, which is a more cost effective use of public works dollars. Barnhardt’s company takes core samples from identified roadways to determine their makeup, assesses existing conditions of the road surface and subsurface, and then identifies up to 20 “distressers” that are impacting the life and condition of the road. He gets down on his hands and knees, for example, Barnhardt said, to measure the length, depth, and severity of cracks in the pavement. From the data gathered on the roads, a software program then makes recommendations on which of various methods of preservation work would best extend the life of the road at the most economical cost. Spending 2 to 3 cents per square yard on assessment, Barnhardt contended, can save $10 a square yard on maintenance. Once the management system is in place, he said, “using the right treatments in the right place at the right time” can stretch road dollars by at least twice as much. Moreover, the industry is developing new preservation methods all the time. So, rather than spending $1 million per mile to replace a deteriorated road, the county might be able to spend the same amount on preserving 20-plus miles of road and, eventually, with saved dollars, replace that deteriorated road. David Edwards, of GSI Engineering in Wichita, which has partnered with Barnhardt in assessing projects identified by the management system, joined Barnhardt at the meeting. Edwards noted that using the system might require the commission to allow already deteriorating roadways, which are already resulting in complaint calls to the commission, to deteriorate further while they do work on roads that appear in good condition, which may be politically difficult. “You save what you can save first, and do the really bad roads down the road,” he said. The commission will be able to point to hard evidence from the system that the decisions are more economically efficient, he said. McComb, already interested in pavement management, learned more at a recent “lunch and learn” event sponsored by The Barnhardt Group. The county has a system in place to sand seal so many miles of road each year, and pave so many miles of arterial with a cold asphalt mix, McComb said. However, he was interested in seeing what could be done, for example, to preserve the work done on Yoder Road 10 years ago, rather than spending millions to mill and asphalt the road again in 5 years. “How can we get the best bang for our buck?” he said. McComb also expressed a desire to have a system in place for determining road project spending that will still be in place when he is gone. Asked by Commissioner Brad Dillon how their fee would work, Barnhardt said it is based on a per-mile contract, but it could be spread over several years, done all at once for a discount, or on a not-to-exceed pro-rated basis. Call The Barnhardt Group to schedule your free consult with Blair that could SAVE YOUR AGENCY MILLIONS! 404-361-9792 or email lori@thebarnhardtgroup.com . As California faces a growing crisis of crumbling roadways, it turns out there is a way to tackle our aging, broken up streets without going broke or sending another bond measure to the voters. Cold-in-place recycling (CIR), a solution already used by many cities and counties throughout the San Francisco Bay Area, is a road rehabilitation technique that recycles the top 3-6 inches of existing pavement to improve roadway surfaces. CIR recycles your existing road, without the need for grinding or new materials, which eliminates waste sent to landfills and all the truck trips that go along with it. And, CIR is more affordable than traditional remove and replace methods. Graniterock’s CIR business uses the Wirtgen 3800CR, a highly trained crew, and a Caltrans-certified mobile laboratory to rehabilitate roadways while reducing material waste and extensive trucking needs typically seen on base repair and overlay projects. 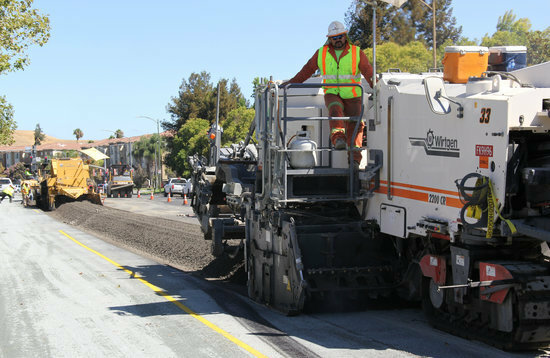 The City of San Jose Public Works Department, responsible for 6,000 lane miles, has incorporated CIR as part of its pavement maintenance program for the past six years. Along with Caltrans, San Jose has created its own CIR specification to use on a project-by-project basis. Several engineers from the City of Santa Clara visited a recent Graniterock CIR job on Vistapark Drive in San Jose to watch the process and determine if it’s something that would help chip away at the backlog of crumbling streets. We are SO proud of our IPMA™ Charter Members, Dustrol, Inc.
An alternative roadway reparation technique utilized by the Harvey County Road and Bridge Department to save on costs has earned star marks after a recent round of testing.Over the past year the county has contracted out 19.3 miles of paved road to Dustrol Inc., Towanda, to be resurfaced using Dustrol’s hot-in-place recycling technique rather than a traditional surface overlay. The definition of a defect is any imperfection measuring 4/10 of an inch bump over 528 feet of roadway.The company administered the test on five miles of a recently completed stretch of East First Street starting at Rock Road and extending to the western border of Butler County. Meier said the process cost the county just more than $1.5 million. He said that number is about 65-percent of the cost of a traditional two-inch overlay over the same mileage. The fresh asphalt is then put back where it originally came from in a single operation requiring about 1,000 feet of equipment. 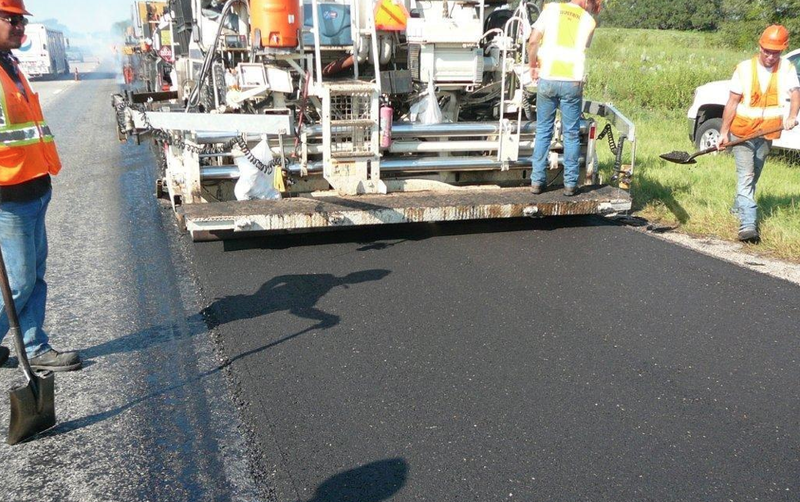 Meier said while not a catchall solution for the resurfacing of county roads, he hopes to use the hot-in-place process as an ongoing solution for a significant portion of county mileage. FDR on Cement in Heard County Tip of The Week! YOU can NOT take full advantage of pavement preservation with this system! Moreover, they are not even using the actual software they are trying to get YOU to use…. but you don’t have enough money to maintain them. ARGHHH! Want to do this right? CLICK HERE FOR A NEW IPMA TIP OF THE WEEK! It’s probably no secret that many of Wellington’s streets could use some work. A step has been taken in that direction, as last Tuesday’s city council meeting focused heavily on the discussion of city streets. The resolutions portion of the meeting centered around potentially authorizing City Manager, Roy Eckert, to execute an agreement with the Barnhardt Group of Kennesaw, GA, to conduct a pavement management study in an amount not to exceed $24,000. Jeremy Jones, Director of Public Works, was present at the meeting to present to the council the reason behind the move. Jones explained that many streets in town are made up of different surfaces and have different treatments on them and underneath them. Without a comprehensive knowledge of the history of the streets, it is difficult to go about properly maintaining them in the future. “We know that we have a poor base material under a number of our roads,” Jones said. Jones also referenced a past experience with “band-aid” fixes, which he acknowledged were sometimes necessary. However, this move to bring in the Barnhardt Group will at the very least give the city the necessary knowledge to make more long-term improvements moving forward as opposed to the band-aid fixes of the past. 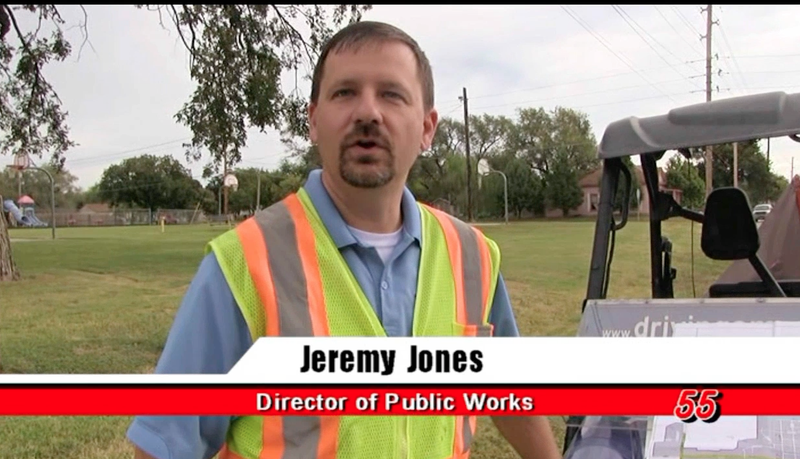 Jones stated that there are officials who have been around a long time who don’t even know what is underneath some of Wellington’s streets because of how long they’ve been around and the number of times they’ve been resurfaced. The survey by the Barnhardt Group would supply the City with all of that information, which should prove invaluable when it comes to future street rehabilitation and maintenance. Councilman Kip Etter questioned whether Wellington had enough streets to justify this move. “The City of Wellington is responsible for approximately 60 miles of paved streets and seven miles of gravel roads with an estimated value of $40 million,” Jones told the council. “We’re going to spend this money one way or another, but I would feel much more responsible financially and sleep better at night if I knew I was spending money in the future that’s going to get us farther. Our current techniques simply aren’t working,” Jones added. Etter also wondered if the results of the pavement management study would allow any capacity to adjust if the City has a preference of what streets they’d like to work on as a priority. “All of us up here realize that in order to move forward, Wellington has to know where it came from and where we want to go, and that is just part of that long-term strategic planning,” Mayor Shelley Hansel said. The pavement management study, which was approved unanimously after about 30 minutes of discussion, is expected to begin soon and take about three weeks to complete. priorities for what street maintenance to do moving forward.